Today’s What I Ate Wednesday was more like What Did I Not Eat Wednesday. In other words, I ate everything in sight and forgot to takes pictures. 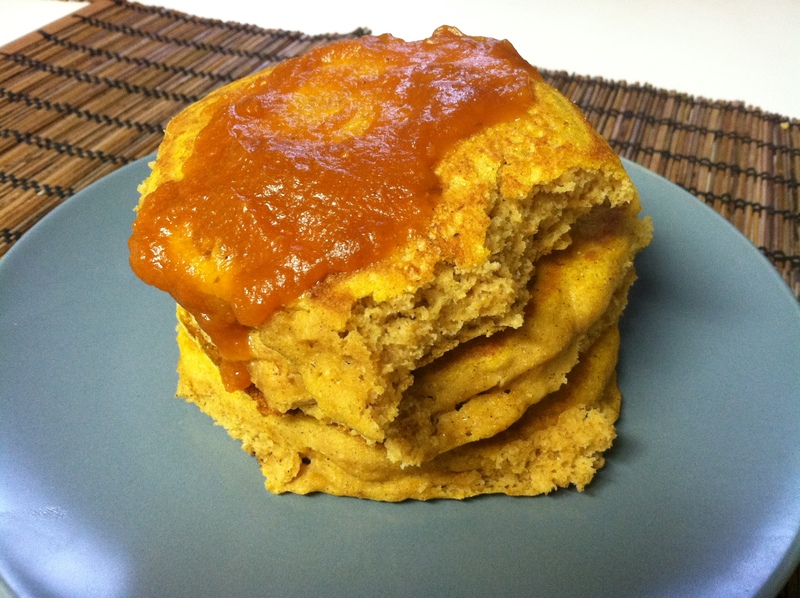 I did, however, capture these beyond delicious and fluffy pumpkin pancakes for breakfast. This woman knows pancakes. Pumpkin puree + maple syrup = divine plus nine. 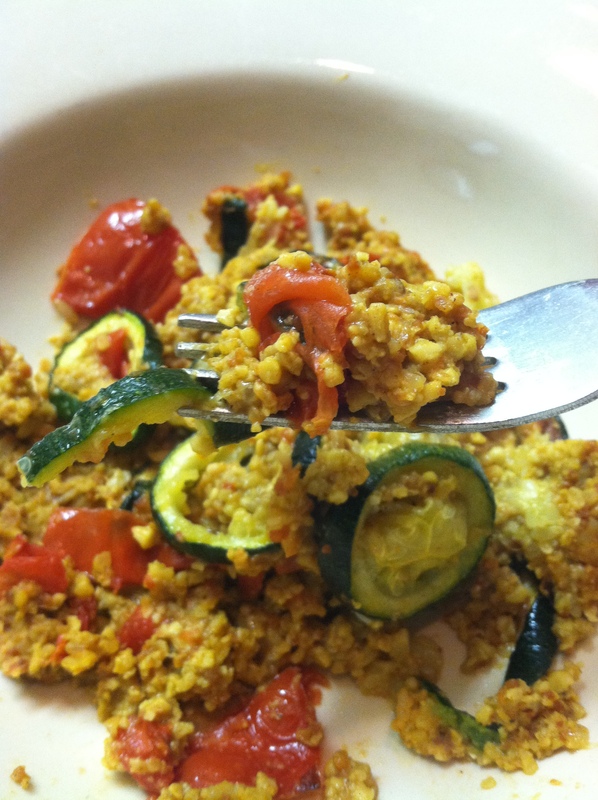 Lunch was leftover coconut zucchini tempeh and a kiwi. 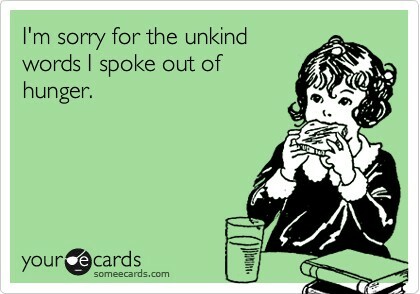 I was ravenous after yoga but forgot to get a plastic fork, leaving me unable to chow down during class. I started to eat it with my fingers but the weird looks were enough to make me hold off till work. Whenever I babysit and watch LiaBanana eat in the following order an ice cream sandwich, a bowl of vegetable soup, arugula with hummus, and a bowl of oatmeal, I too want to join in on the six-year-old fun and eat a shmorgishborg. That included some un-photographed pecan raisin bread, tortilla chips and salsa, an ice cream sandwich and a tiny bowl of artichoke pasta. Some one was hungry and perhaps craving carbs. 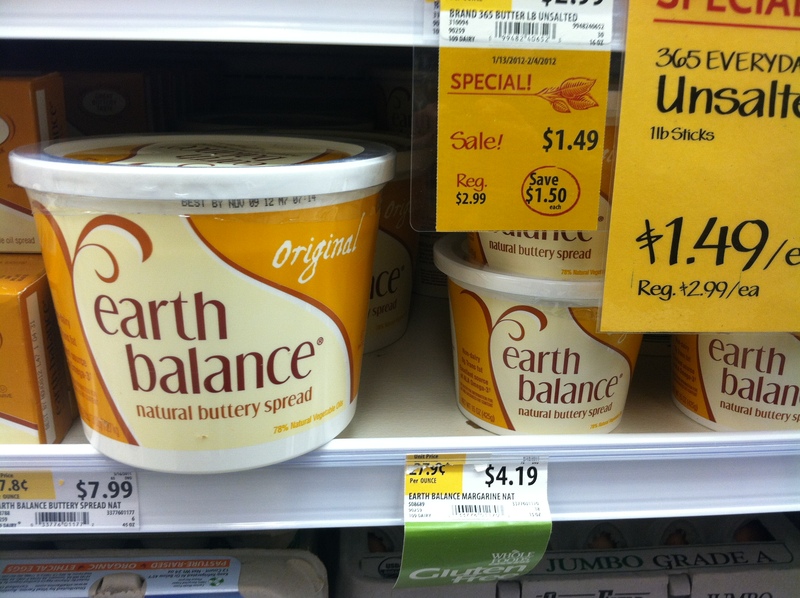 Has anyone’s fridge been graced with the presence of this MASSIVE tub of Earth Balance? If so, I am very jealous. Then there was my Whole Foods $26 worth of groceries, mostly prepping to make these. Do Finn Crisps taste like cardboard? I actually enjoy cardboardey things, like Grape Nuts. But, no. They taste like rye cardboard. What’s your favorite hummus? Whole Food’s greek hummus. Zataar, whatever you are, I love you. Have you ever used black lentils? No, have you? 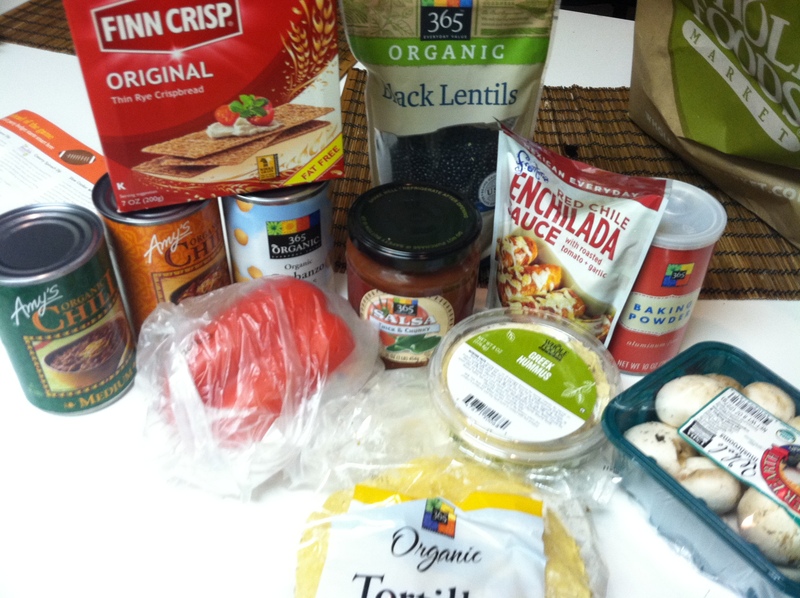 Did you know WF’s corn tortillas are only 79 cents? I know now! 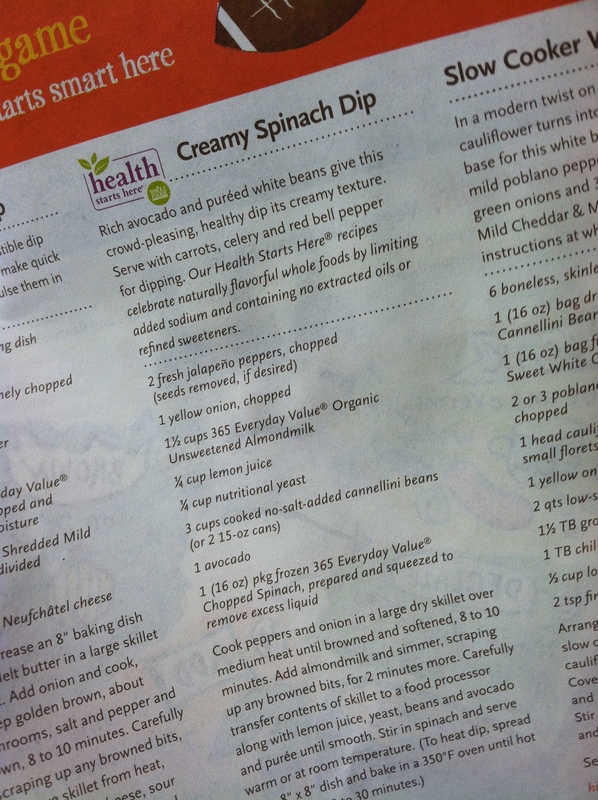 I also found this divine looking recipe in the Whole Deal. Isn’t there some big important game in a couple weeks? A World Series that this dip would be perfect for? Ya, that’s it.